We wish to thank the Janessa Fleming Memorial Fund and the entire Fleming Family for the generous $1,000 contribution to Lauren’s Wing – The Fund for Animal Care. We are honored you have chosen to support our mission. 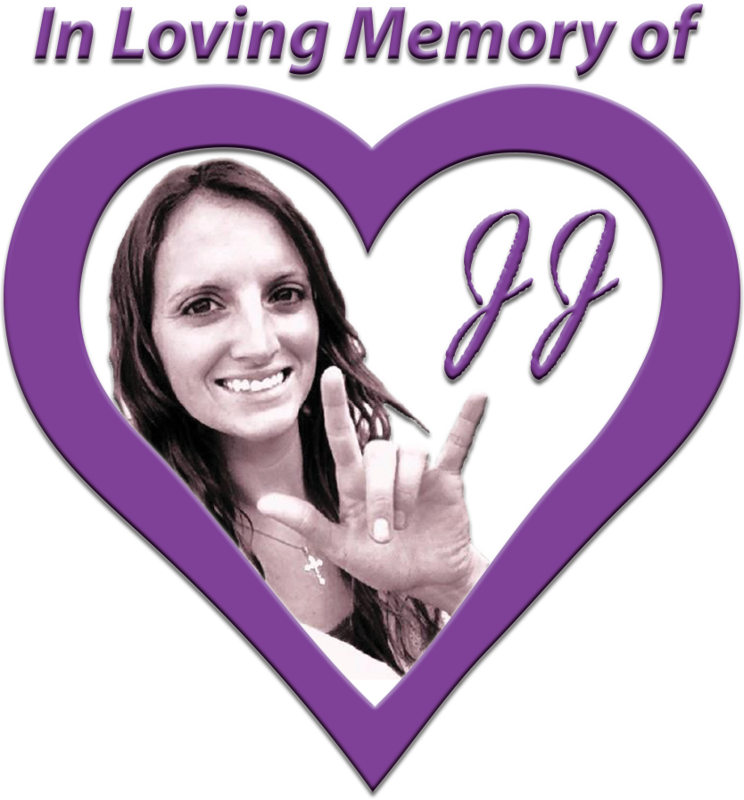 The Janessa Fleming Memorial Fund was established in loving memory of Janessa (JJ) Fleming to carry on her loving and caring spirit. Janessa, a friend to all, always expressed a love for animals. With this in mind, the Janessa Fleming Memorial Fund presented Lauren’s Wing with a $1,000 donation. It is a true blessing to have known Janessa. It is wonderful to know that her vibrant spirit lives on through the Janessa Fleming Memorial Fund. 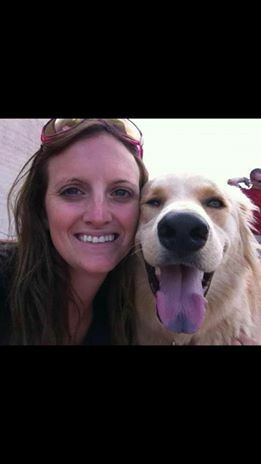 Janessa’s heart was full of love for her family, friends and animals. Her determination and energy were inspirational to witness. When she dropped by to visit one thing was for certain – there was smiles, laughter and joy. She is forever in our hearts and we hope Janessa and Lauren are smiling down from heaven every time an animal is receiving lifesaving care. We again thank you Paula and the entire Fleming Family and extend our deepest appreciation for your friendship and support. 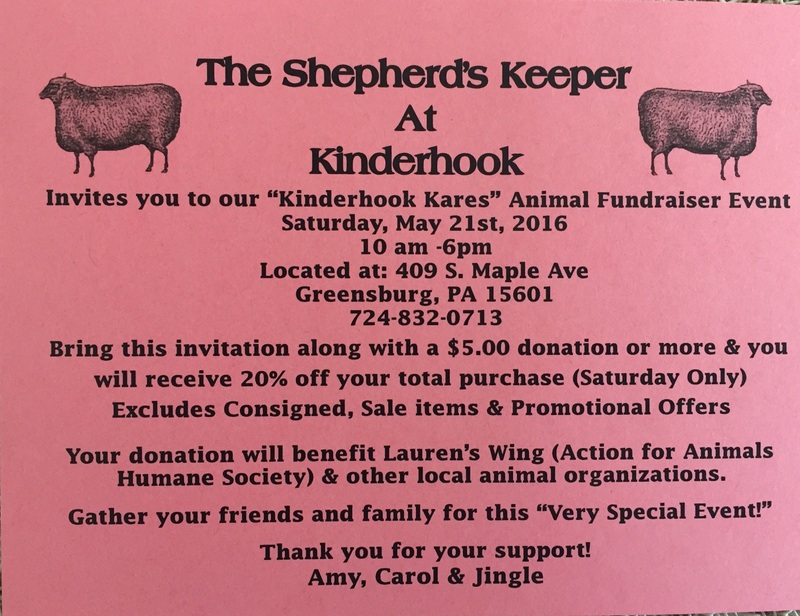 Lauren’s Wing-The Fund for Animal Care is excited to share in a very special event at the Shepherd’s Keeper at Kinderhook in Greensburg this Saturday from 10-6. 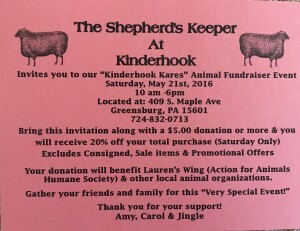 Shop Owners Amy and Carol are hosting an Open House to help raise funds for local Animal organizations including Lauren’s Wing. Please stop by to visit this unique one of a kind primitive country shop and help raise funds for the Animals! Lauren’s Wing wishes to thank the Fleming Family and the Janessa Fleming Memorial Fund! Lauren’s Wing is truly honored that The Fleming Family has chosen our fund to support. We were blessed to know this remarkable young women during her lifetime. Janessa’s vibrant spirit and enthusiasm for life was evident the moment you met her. 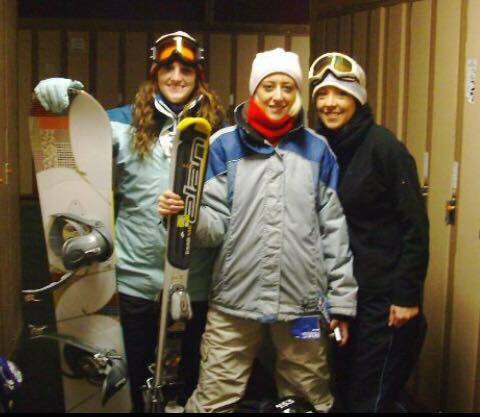 She cherished time with family and friends and shared her many passions in life including basketball, snowboarding, painting, drawing and animals with such great energy. Janessa’s positive attitude toward life was endless and continues to be a true inspiration to all who knew and loved her. She is lovingly remembered and dearly missed.